Patrice Lumumba was the first democratically-elected leader of Congo, acting as Prime Minister until his western-backed assassination on September 14, 1960. A scan was released today of Lumumba's popular response to the Belgian King's controversial speech declaring Congolese independence on June 30, 1960. 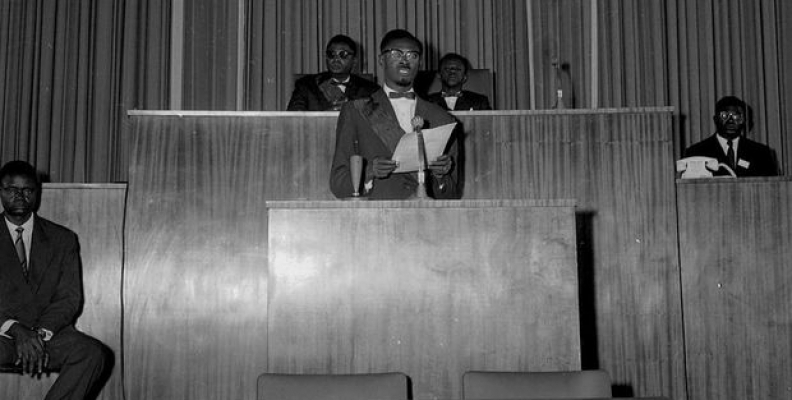 As explained by Congolese activist and public speaker Kambale Musavuli, Lumumba's speech was not improvised but submitted on June 29 and his edits are now visible in the released scan. See the scan of Lumumba's independence day speech here. 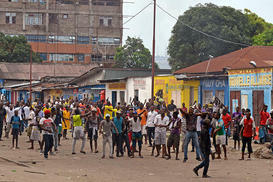 Read brief analysis by Congolese activist and public speaker Kambale Musavuli here. 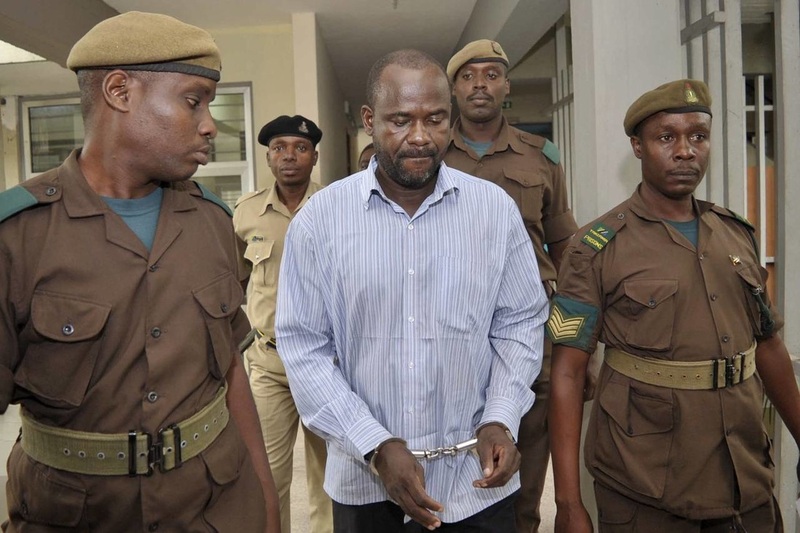 "A Tanzanian court on Thursday cleared the extradition of Jamil Mukulu, leader of Congo-based Islamist rebel group Allied Democratic Forces, to face trail in Uganda for allegedly ordering a spate of deadly attacks against civilians since the 1990s." The Allied Democratic Forces (ADF-NALU) remains a grave threat to regional stability and civilian security in eastern Congo. 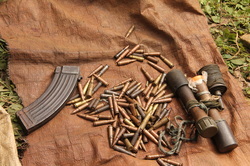 See BFC reviews of recent violence allegedly connected to the rebel group. 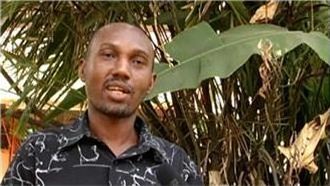 Burundian opposition leader Zedi Feruzi was found shot dead outside of his home in Bujumbura, Burundi. 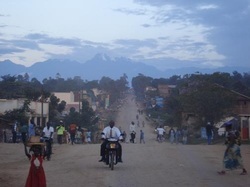 Regional tensions are rising as over 100,000 refugees have fled Burundi, mostly to camps in Tanzania, some into Congo. A recent coup attempt by General Nyombare of the Burundian Army (FDN) failed. The crisis began when President Nkurunziza announced his intentions to run for an additional term as head of state of Burundi. Protestors say that this goes against the two term limit in the Burundian Constitution. 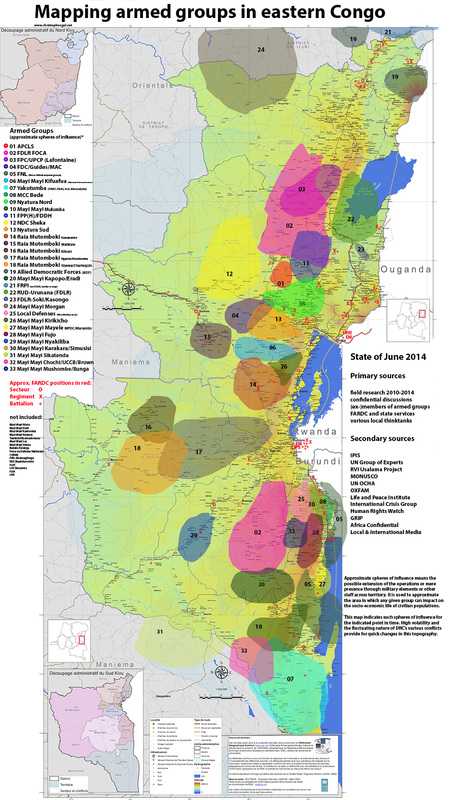 See recent news and analysis on the Ugandan rebel group the Allied Democractic Forces (ADF) in eastern Congo. The ADF has reasserted itself as a security threat in the region as it was recently blamed for multiple strikes on civilian populations, firefights with Congolese forces, and attacks on UN peacekeepers. The UN recently declared that ADF atrocities at the end of 2014 resulted in the deaths of at least 237 civilians and likely constituted war crimes and crimes against humanity. The United Nations High Commissioner for Refugees condemns the March 21st abduction of sixteen Congolese individuals from northeastern Congo by the Lord's Resistance Army (LRA). 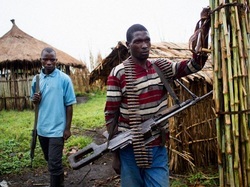 Fifteen Congolese refugees were abducted by the brutal rebel group from Uganda. Most returned after suffering injury and one individual was raped. Boston for Congo and other international and local actors urge the Congolese government and United Nations peacekeeping mission in Congo (MONUSCO) to remain committed to human security throughout Congo. Ten additional activists were beaten and arrested by police in Goma while protesting the unlawful detention of demonstrators in Kinshasa two days before. The Kinshasa arrests included an American diplomat, foreign journalists, other foreign nationals, and many Congolese citizens calling for improved democracy in Congo. It has been over one year since the defeat of M23, however the people of the Congo are still suffering great human rights violations and injustice. The several armed groups, corrupt officials and soldiers remaining in power submit citizens to sexual violence, kidnappings and murder. Lisa Shannon and Francisca Thelin illustrate in this New York Times Op-Ed the importance of seeing an end of the brutal Lord's Resistance Army (LRA) rebel group acting in northeastern Congo, CAR, and South Sudan. They share the belief of leading international NGOs and government actors that the LRA has and will regain strength and increase abductions and atrocities if the international community disengages. Martin Kobler, the head of the United Nations peacekeeping mission in Congo (MONUSCO), emphasizes the opportunity for the Congolese army (FARDC) to regain some trust of local populations in its pursuit of the violent rebel group the FDLR. Locals and advocacy groups have been critical of the insufficient UN and Congolese government response to armed groups in eastern Congo. The current combat mission against the FDLR, "Sokola 2", began as a joint endeavor with MONUSCO forces. But FARDC now pursues the rebels alone after denying UN help in February, 2015. 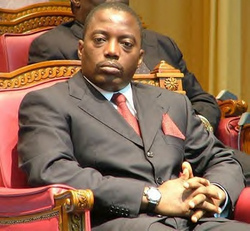 Nationalist leader Christophe Gbenye died in Kinshasa. He was known for his prominent political role and radical methods including taking hostage westerners hostage during the crisis in Congo from 1960-1965. A brief New York Time biography of Gbenye can be found here. Congo tied with Tunisia to earn a spot in the quarter finals of the Africa Cup of Nations. Striker Jeremy Bokila expressed his concern over the quality of the team's midfield compared with attack. Congo will play the Republic of Congo on Saturday. Members of civil society in Kinshasa and Goma reported violent crackdown and over forty citizens killed while demonstrating against the effort by President Kabila and his allies to require a national census prior to presidential elections scheduled for 2016. This would effectively extend Kabila's rule past the maximum two terms delineated in the 2006 Constitution for an estimated four additional years. Protestors are now celebrating in the streets after the Senate did not vote to approve the census. Amateur video (WARNING GRAPHIC CONTENT), corroborated by civil society, shows some demonstrators killed and other running from the live ammunition being fired by the government forces, potentially members of the president guard. Additionally, CSM reports that "opposition leader Jean-Claude Muyambo was detained by armed men in hoods at his residence in Kinshasa, said Vital Kamerhe, president of the opposition Union for the Congolese Nation (UNC) party." Boston for Congo stands with MONUSCO, the United States government, European Union, and many human rights organizations in demanding the peaceful treatment of civilians and restoration of free speech and free and fair democracy in Congo. Follow coverage by The Guardian here. Lord's Resistance Army (LRA) rebel Dominic Ongwen was in the custody of United States military personnel in the Central African Republic ("CAR") on January 6. He was handed over to the African Union Regional Task Force (AU-RTF) on January 15 and sources report he is currently traveling through Bangui, CAR on his way to the International Criminal Court (ICC) in The Hague, Netherlands. There he will face 2005 charges of crimes against humanity and war crimes for brutal atrocities committed in Congo, Uganda, CAR, and South Sudan. Discussions of the abductee turned LRA leader Dominic Ogwen and his legal future can be found here and here. January 2 marked the United Nations, ICGLR, and SADC deadline for the "unconditional surrender" of members of the Democratic Forces for the Liberation of Rwanda (FDLR) militia, consisting of mostly Rwandan Hutu rebels, including individuals responsible for the 1994 genocide. Preparations for military operations by the UN peacekeeping mission in Congo (MONUSCO) are reported complete, and an official UN request for joint offensive missions against the FDLR was filed with the Congolese government January 8. 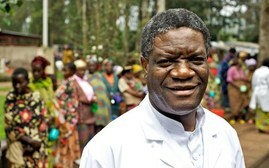 Panzi Hospital, established in 1999 by award-winning and Nobel Peace Prize nominee Dr. Denis Mukwege to serve survivors of violent sexual and gender-based violence (SGBV), is unable to "withdraw money or pay December wages to its 500 employees" after high taxes of $50,000 were suddenly levied by the Congolese government, an abnormal practice with historically de facto independent hospitals. Legal representation of the hospital that has treated more than 30,000 survivors of sexual violence claims this action "illegal". Human Rights Watch released a report detailing the unlawful killing of over 50 young men and boys and unexplained disappearance of over 30 more by Congolese Police during Operation Likofi, an effort to crack down on criminals in Congo's capital, Kinshasa. The report discusses how high-ranking officials admit to illegal acts committed under Operation Likofi including killings, ensuring subsequent investigations and prosecutions of those responsible. 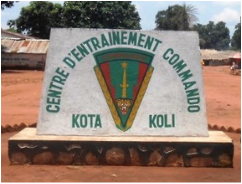 Human Rights Watch (HRW) reports that 100 demobilized rebel fighters and family members died in Kotakoli military camp after the Congolese government neglected to feed and care for them. Rebels are often encouraged to lay down their arms with promises of amnesty, food, shelter, and settlement for them and their families. See Human Rights Watch news release here. See Radio Okapi article on implications of deaths here. FARDC, the Congolese armed forces, announces Brigadier Emmanuel Lombe the new sector commander for the North Kivu Province and Operation Sokola, the mission to pursue and defeat the violent Ugandan rebel group, the Allied Democratic Forces (ADF). The ADF increased its campaign of murder, displacement, and exploitation of Congolese since 2010. FARDC holds joint missions against the ADF, FDLR, and other rebel groups in eastern Congo with the UN Force Intervention Brigade, a part of the UN peacekeeping mission MONUSCO with a strong mandate. Read UN's Radio Okapi story here. Read Uganda's New Vision story and background here. African Arguments author Theophile Costeur reviews recent efforts by President Kabila and parts of his PPRD political party to keep Kabila in power past his two-term limit ending in 2016. The article questions any motivation to change the nationally-supported constitution of 2006 other than to keep the President in power. 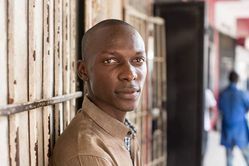 Photographer, storyteller, and NYT bestseller Brandon Stanton of Humans of New York (HUNY) partners with the United Nations to document narratives from the Congo and elsewhere in the Great Lakes Region. Follow daily posts on HUNY Instagram page. Policy Associate Holly Draginis of partner organization the Enough Project discusses successful investment in the mining sector of the Congo that also benefits its citizens and community development. 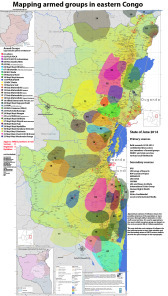 Policy analyst and PhD researcher at the University of Zurich, Christoph Vogel, releases an updated (through June, 2014) map of armed groups active in Eastern Congo. See further explanation and progress of project here. "The members of the militia, the Democratic Forces for the Liberation of Rwanda — composed of ethnic Hutus from Rwanda and known by its French initials, F.D.L.R. — said they were willing to give up their guns for good if they were allowed to go home and negotiate power with their archnemesis, the Rwandan government. "